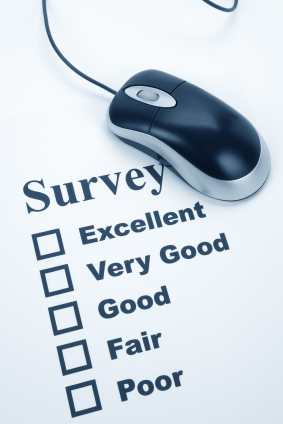 We appreciate you taking the time to complete this short survey. The purpose of this is to rate how effective your learning was throughout this event. These results will be released at the closing of the event on Monday 20th August, 2012. As a result of the discussion we have engaged in over the course of this event, we discovered that the answer to our question ‘How are social capabilities influenced by the use of ICTs?’ is that social capabilities can be influenced positively or negatively, depending on which ICTs are chosen, and how they are used, which highlights the importance of conscientious pedagogy. Thank you to everyone who has taken the time to participate in our Q&A Learning Forum. Our groups’ aim was to encourage a meaningful discussion on the use of ICTs in P-3 classrooms and the impact this has on the social developments of young students. This could not have been achieved without the valuable insights from our wonderful panel of experts. We cannot thank them enough for taking the time out of their busy schedules to share their wealth of knowledge and teaching experiences. Each one of you have provided us a professional perspective on the authentic use of ICTs and how best we can use these tools to promote the social capabilities of our future students. Once again, thank you from Group 1, EDC3100. This Word Cloud has been created based on a variety of words that have been used in discussion over the past 4 days. Overall how do you rate your overall learning on the topic? Overall, how interesting did you find the topic to learn about? Which was the most engaging aspect of the online event? Which area did you find most useful in regards to your future study and/or work with children? From what you have learnt so far, do you think ICTs help or hinder social development in young learners? Firstly, I would like to say a huge thank you to everyone who participated in our on line learning event. The knowledge I have gained from all of you exceeded my expectations and I now have a large collection of resources to assist me with my future studies. I would like to extend enormous thanks to all of our experts who have not only given up their valuable time to support us, but also shared their wealth of knowledge and experience with all of us, as we explored what is a very valid issue in our schools. Had it not been for this event I dare say that I probably would not have investigated the influence that ICT has on social capabilities and quite possibly may have found my personal pedagogy to be lacking in authenticity. Let us all use the knowledge we have been given during this event to improve upon and build upon our current practices as continue to educate. Thankyou! Please click here to view my final thoughts. Thank you. I would like to start with applauding all our experts, junior experts and participants for lending your valuable time to us as students. Thank you, thank you and thank you! Without you all, this blog would have not eventuated to the learning environment that it was. I leave this blog by saying that I have enjoyed reading and partaking in the blogs. I know that, throughout my journey through education (whether in guiding or in learning), I will always remember that there are tiny seeds just waiting to be nurtured to grow into big healthy trees. Thank you all! I would like to take this opportunity to thank our panel of experts; each one had a unique and valuable perspective which has extended my thinking and allowed me to consider and reflect on this topic in ways which I would otherwise not have been able to. I would also like to thank our group, who all worked so hard to put together our event, putting in many, many hours designing, researching, writing, referencing, considering and compromising, and our participants whose points of view, experience and thoughts encouraged us all to think about things in new ways. In the beginning, I knew that the areas of ICT and social capabilities were viewed as ‘general capabilities’ within the Australian Curriculum, and therefore expected to be part of each subject area, yet I did not know how these areas related to one another or how to design meaningful learning experiences which would enhance these important skills. In answer to our overarching question, ‘How are social capabilities influenced by the use of ICTs?’ I personally feel that social capabilities can be influenced positively or negatively, depending on which ICTs are chosen, and the pedagogical approach taken by the educator. In order to build skill in both areas, a social constructivist approach was unanimously preferred by our panel, I now feel confident that I can use ICT in appropriate and meaningful ways within a classroom context, considering the pedagogies of substantive conversation and social constructivism in order to develop and enhance students’ communication, collaboration and problem solving skills for now and in the future. Thank you. Our online Q & A forum would not have been what it was without the support and participation of our experts therefore I am forever grateful. Our Q & A format allowed individual users to ask specific questions to educational professionals in order to extend their own thinking and personal learning journey. Pedagogical choice allowed for open and sustained communication by all involved. Our survey results suggest that our Q & A forum was successful in achieving higher order thinking about our issue. The fact that this event was so successful even though it was developed by inexperienced student teachers, using Word Press for the 1st time proves to me the power of ICT’s to enhance social collaboration and capabilities. Upon reflection I believe that what we did, how we chose to run our event, the use of social learning theories, including a pedagogical model which utilised substantive conversation did exactly what we were questioning. How do teachers ensure ICT’s enhance social development? We had the answer all along. If we provide students with access to ICT’s that promote these styles of communication, for example blogs, then we are providing students with the tools to create and share their learning with the world. However, such ICT’s alone will not achieve success. Teachers must ensure the learning environment promotes positive social interaction and collaboration via group work, which allows for child directed learning and problem solving. Thank you. Axiom Research, (2012). Survey Image. Retrieved on 12/08/2012 from http://www.axiom-mr.com/sites/239/uploaded/images/iStock_000007999044XSmallmouse.jpg). Looking at the results of the survey, it is great to see that the majority of participants found the learning derived from the event of a very high standard. This has been made possible due to the sharing and collaborative nature of ICT resources and experiences, coupled with the high quality of discussion which was evident in the produced conversations. The results have also presented that the Question & Answer forum which the event was designed around had the majority vote when choosing what was the most engaging part of the online event . This suggests that inviting a panel of experts to share their valuable knowledge and experiences with the participants was an effective method to gain authentic insight into the transformed use of ICTs in learning and increased social capabilities in students. It is evident that all users gained an improved understanding from their participation in the event, with most responses suggesting that they achieved a deeper understanding of social capabilities influenced by ICTs. At the closing of the event, most participants expressed that they believed ICTs do have a significant effect on social capabilities. This demonstrates that the progression and depth of discussion enabled most of the participants to come to an informed decision on the overriding question. Thank you again for participating in our event and filling in the survey.